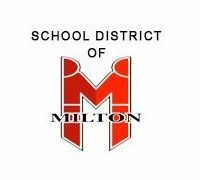 A lack of available members puts the kibosh on an emergency Milton School Board meeting this weekend. School Board member Brian Kvapil had requested the emergency meeting to take place Friday evening or Saturday afternoon to discuss administrative personnel conduct. Kvapil requested that district administration and staff not be present at the meeting. Board President Tom Westrick says the board will discuss Kvapil’s concerns in closed session during Monday night’s regularly scheduled board meeting. The agenda for Monday’s meeting had already included open discussion on the superintendent evaluation process and a closed session for the superintendent evaluation and administrative contracts.